There is nothing quite like the twinge of sensitive teeth. Have you ever bitten into something crunchy or cold only to leave your teeth whimpering in pain? Tooth sensitivity is a really common problem, but that doesn’t make it less painful. Richview Family Dentistry wants to share with you some possible reasons behind your sensitive teeth as well as ways to find some relief! How can you help ease tooth sensitivity? Even mild tooth sensitivity can be very uncomfortable. To help avoid or combat sensitive teeth, try these tips! Take care of your tooth enamel. – Stop the problem before it starts by taking great care of the protective enamel of your teeth. Establish a regular brushing and flossing routine as part of your day. Brush gently. – Speaking of brushing routines, tooth sensitivity is further aggravated by aggressive brushing habits. Take care to brush gently while taking time to still be thorough. Try a toothpaste for sensitive teeth. – Check with your dentist about alternative tooth paste options that may be helpful for you. Consider a guard at night. – If you are grinding your teeth, a mouth guard is worth looking into to protect your teeth while you sleep. While sensitive teeth are a common problem, it’s still important to let your dentist know if you are experiencing discomfort on a regular basis. This is especially true if your tooth sensitivity is keeping you from performing normal activities such as eating and tooth brushing. 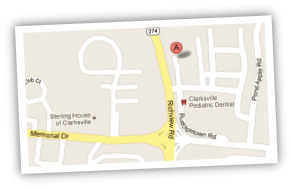 If you are experiencing sensitive teeth, make an appointment with us at Richview Family Dentistry. 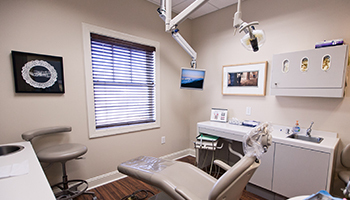 Our team can help you find the root of your dental issues and get you on the right track toward healing!